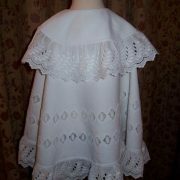 In Victorian times a baby would not be fully dressed if it did not wear a cape for its baptism day. 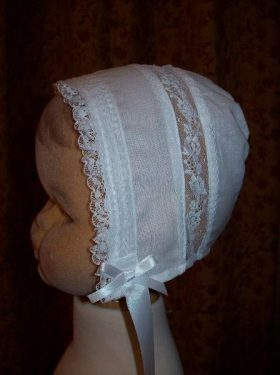 Every baby had to wear a white gown, bonnet and cape. 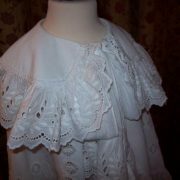 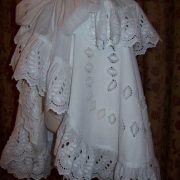 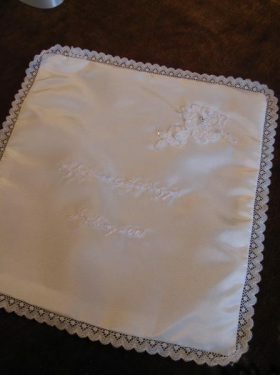 This Christening Cape is styled off a Victorian Original and is truly wonderful. 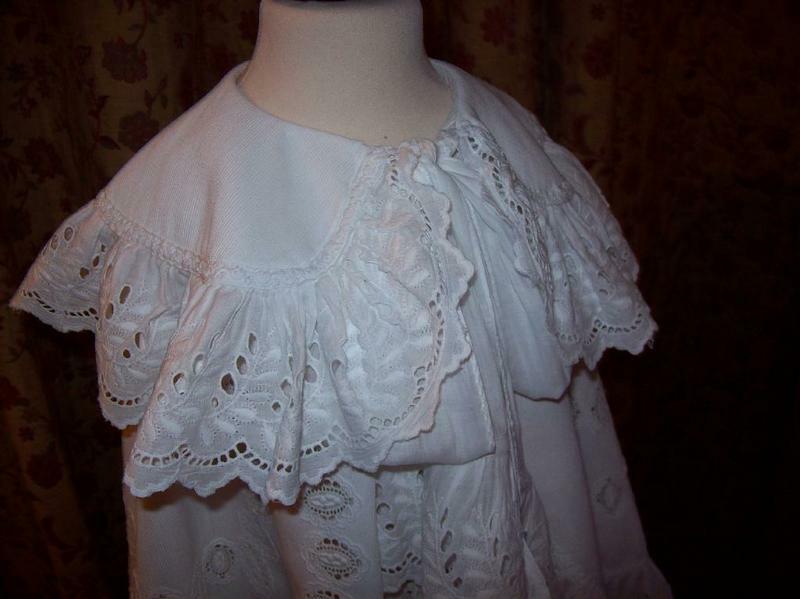 It consists of two layers of fabric, the lower cape and the upper cape, bother gathered into the neckband and both decorated with sumptuous frilled lace. 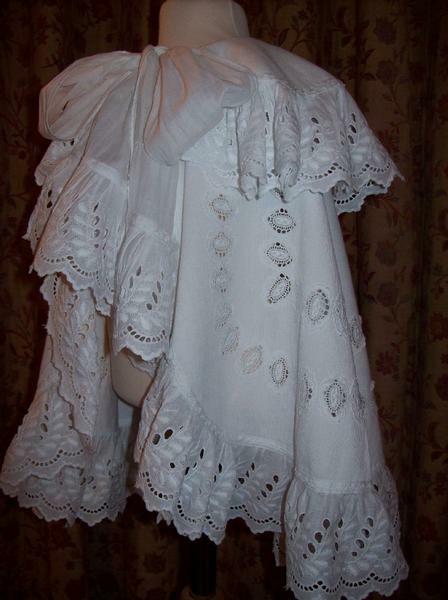 Large ties that fasten with a bow under the baby's chin gives this cape a stylish finishing touch. 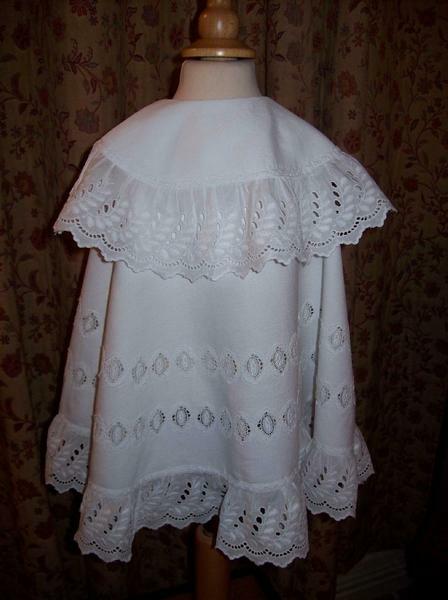 Each cape is unique, being made from vintage white fabric and vintage trims and laces where possible. 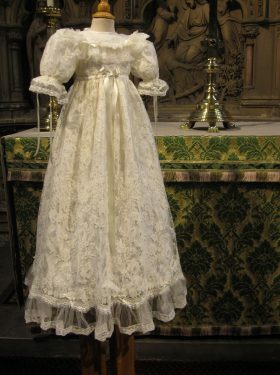 If the cape is being ordered to compliment a gown then of course the matching trimming will be used. 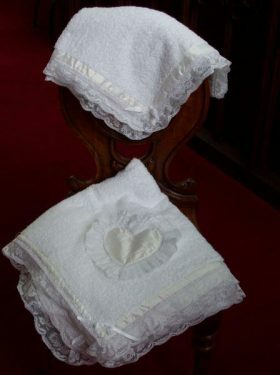 Ideal for winter baptisms or if you simply want your day to be perfect then this is the ultimate accessory.